PALMVIEW — Many residents in western Hidalgo County will likely see an increase in their sewer rates as the Agua Special Utility District is headed toward approving rate increases during their next board meeting in December. The proposed increase would raise the monthly sewer rates for residential customers by $1.08 each year for five years, raising the rates from $20.84 to $26.24 per month by 2023. 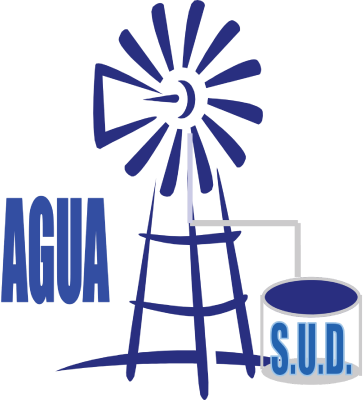 For Palmview residents, where Agua SUD is in the middle of a project to bring sewer to the city for the first time, the recommendation is to increase rates by $1.54 each year. The proposals were presented to the board Jeff Snowden of Capex Consulting Group, during a regular board meeting on Monday. The higher increase for Palmview, Snowden explained, was because Palmview sewer customers imposed a higher cost to Agua SUD, about $2.20 more per month, than the other residential customers. The increase of $1.54 a month for Palmview residents would have them eventually at $28.50. The need to raise rates was to get ahead of their expenses which grew at 4 percent per, a conservative amount, Snowden said. However, their revenues only grew at 3 percent per year. If rates were to remain the same, they would be able to operate with a positive cash flow until 2023 when they would start to have deficits. Snowden had previously made a presentation to the Agua SUD board members during a workshop retreat in August, but the recommendations made at that time were modified to incorporate a $5 million debt issu-ance. That debt, according to General Manager Jose E. “Eddie” Saenz, was to cover the costs of several projects including utility relocations, highway improvements, a booster station and improvements to filters. The calculations were made by looking at months’ worth of data from their billing system, Snowden told the board. By reviewing data for every meter size and looking at how many customers were in each class — which include residential, commercial, agricultural, apartment, RV and trailer park, school and lifeline — and com-paring usage to how much they were billed, he was able to predict how the system would perform financially and how much they should charge just to recover the cost of service. Board member Homer Tijerina inquired whether the estimate of their revenues over the next few years took into account the expected revenues from the new “smart” water meters. Those meters, which are said to provide more “accurate” customer billing, is expected to bring an additional $600,000 per year. Snowden said that revenue was not included, which Saenz explained was because he intends for those revenues to go into a fund separate from the revenues from these proposed rate increases. “We’re having to be able to pay for other project — our depreciation and maintenance projects — that’s why we’re having to do what we’re doing now,” Saenz said of the rate increases. Though if the board wanted to incorporate them, Saenz said, they could do so. However, Board President Roger Hernandez indicated he was fine with the proposed rate increases as presented. The board is expected take action on the proposal during their next meeting on Dec. 11.